Hope you’re having a good week! We’ve dipped back into sub-zero temperatures here in Montreal, please keep yr fingers crossed for warmth and sunshine here in the 514. All I wanna do is cruise around on my bike and not have to wear five layers of clothing to not freeze. A girl can dream, right? In celebration of the annual Howl! Arts Festival, we’re psyched to have the Howl crew into our studios to curate the April edition of our beloved Montreal Sessions. Exploring intersections of art and activism, they embody a true DYI spirit and proudly showcase their politics through everything they do. Hear them on the airwaves every Tuesday in April from 3-5pm, and check the full event listings for the Howl! festival here. This entry was posted in Charts and tagged bikes, Howl! 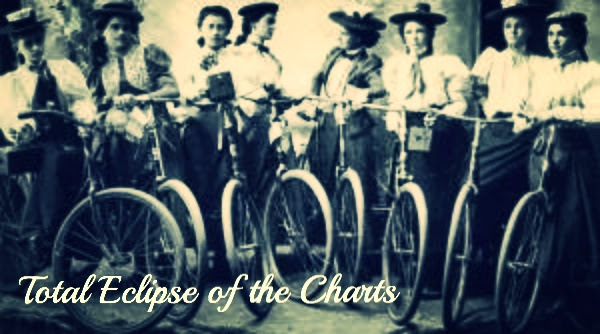 Arts Collective, specialty charts, The Montreal Sessions, top 30, total eclipse of the charts on April 5, 2016 by CKUT Music Coordinator.